On September 16th at our annual picnic, the Board of Directors presented honorary awards to Denis Gazaille and Bob Liddle, founding Board Members, for their 20+ years of dedicated and tireless service to the Nantucket Builders Association! Vin joins Stephen Cheney, Steve Roethke, Bob Liddle, Denis Gazaille, Val Norton, Pete Loughman, Ciaran McCloskey, Kevin Dineen, Frank Daily and Lauren Sinatra as our newest board member. Welcome Vin!! NBA PRESENTS $6,000 IN SCHOLARSHIP AWARDS! Scholarship funds are awarded on an annual basis to graduating seniors and alumni pursuing a career in the trades or construction professional services. We thank our members for helping to make these awards possible through the continued support of your annual dues! April 2015: Did you know that from time to time, the NBA is called upon to assist needy local families with emergency home building needs? This past February, after being contacted by the Justice Resource Institute on behalf of one of their clients, we were pleased to help purchase and install a new door that had become broken during a family crisis situation. We recently received a thank you letter from the Justice Resource Institute and the local family expressing how truly grateful they are for the NBA's assistance. On July 15, 2014 the NBA circulated a survey to nearly 300 of our local contacts, seeking input towards improving the local permitting and building processes. The survey was closed on September 22, 2014, and is now available. CLICK TO VIEW. Thank you to all who participated. alumni pursuing a career in the trades or in building or construction professional services. We thank our members for helping to make these awards possible through the continued support of your annual dues. According to Leslie Snell, Deputy Director of Planning, there have been several new hires in the PLUS Department: Doris Strang, who many of you may know from KAM or Marine Home Center will be assisting with customer service and front desk services. The full-time plumbing/gas inspector position has been filled by Doug Bennett, who served as a part-time inspector this summer, and can be contacted at plumbing@nantucket-ma.gov. Steve Cheney & Steve Roethke speak about the NBA on 97.7 ACKFM. Give a listen! The NBA is proud to recognize Lauren's achievement in receiving the 2013 Leading by Example Award and a citation of recognition from Representative Tim Madden for her contributions to the Town’s energy and sustainability efforts as Energy Project and Outreach Coordinator. 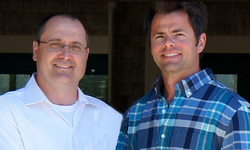 The Nantucket Builders Association is proud to announce the addition of Frank Daily to the Board of Directors. 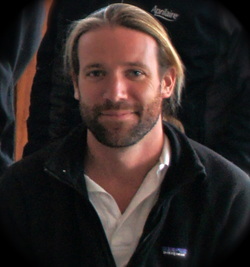 The Board values Frank's talents and experience as a leader in the Nantucket building community and looks forward to the perspectives, ideas and suggestions that Frank will provide for strengthening our objectives and supporting our ever-increasing membership base. The Nantucket Builder's Association Board of Directors is pleased to announce that Stephen Cheney, Owner of Cheney Brother's Building and a long standing member of the NBA's Board of Directors has accepted the Board's nomination for the position of President of the Board of Directors. "Steve's dedication to our industry and his commitment to this Association has been a driving force in recent years. Steve's industry expertise, thoughtful business style, and eye toward new and interesting products and topics has cultivated interest in our Association's mission to educate and integrate Nantucket's building community," said Steve Roethke, a former NBA President and current Secretary of the Board. The Board would like to thank Michael Forth, the out going President for his years of service to the Association. Mike's hard work and dedication grew the NBA's mission and furthered the NBA's offerings, saw the creation of our Continuing education Programming, and increased the level of service to its Membership. Mike will stay on the Board continuing his role as a Director. The Nantucket Builder's Association promotes code, industry and product awareness, local business networking, and continuing education opportunities to its membership. New members are always welcome! Join the NBA to take advantage of our monthly meeting topics at Faregrounds Restaurant (meals included & cash bar), discounted continuing education courses for required license renewal credits towards the Construction Supervisor License, annual Family Picnic, and our new informative and user-friendly website. Each year, the Nantucket Builders Association presents scholarship awards to support building-industry related education and training for Nantucket students. 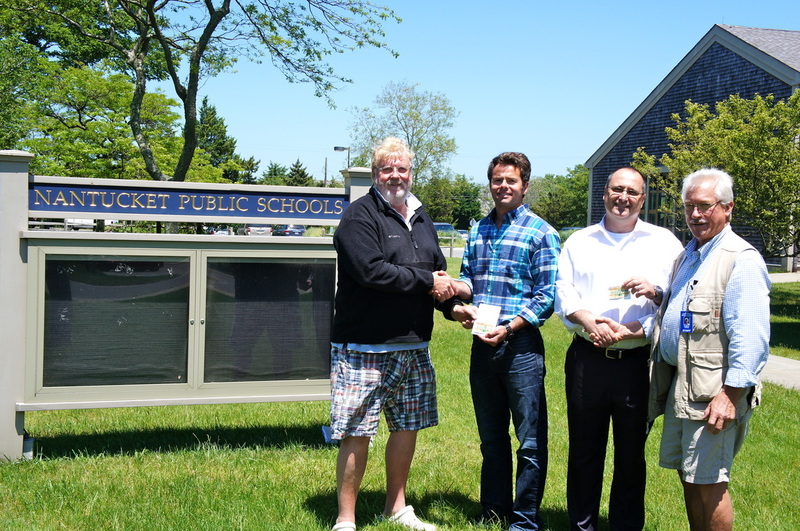 On Monday, June 17,2013 the Nantucket Board of Directors awarded two $1,500 Marine Home Center giftcards to the Wood Tech Club at Cyrus Pierce Middle School and the Construction Tech Club at Nantucket High School, respectively. The gift cards will help to provide the clubs with much-needed lumber, materials and equipment. The Scholarship awards are made possible by the annual dues of Nantucket Building Association members. Stephen Cheney and Mike Forth, representing the Nantucket Building Association Board of Directors, present two $1,500.00 gift cards to Chuck Colley (left) and Bob Liddle (right) on behalf of the Construction Tech and Wood Tech clubs.